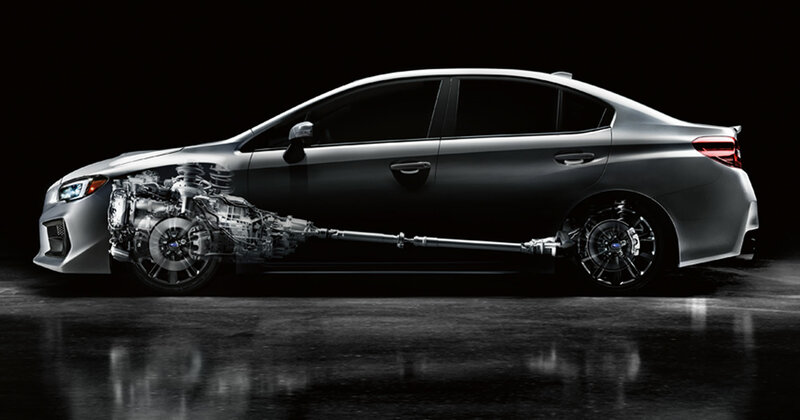 The 2019 Subaru WRX and WRX STI are purebred performance cars enabled by some of the most advanced automotive technologies the world has to offer, including Subaru Symmetrical Full-Time AWD (for superior control) and the SUBARU BOXER engine (for dynamic response.) These advances have been placed in a super-strong chassis and are supported by a rally-honed fully independent suspension system to ensure unmatched cornering capability, precision and stability on any type of road surface, under all possible conditions. The Subaru WRX features a turbocharged, direct-injection 2.0L 4-cylinder SUBARU BOXER that balances potent performance with optimal fuel efficiency. The twin-scroll turbocharger sees peak torque arrive at 2000 rpm and creates a long, flat torque curve for crisp response and striking driveability, making everyday driving much more exciting. The Subaru WRX STI benefits from a turbocharged 2.5L 4-cylinder SUBARU BOXER, which creates raw power fused with complete poise, on the road and on the track. 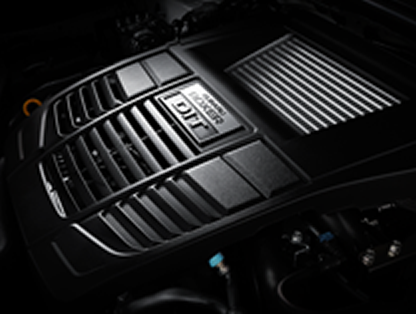 Both versions of the turbocharged SUBARU BOXER incorporate a high-efficiency intercooler for reliable performance and both benefit from the inherently smooth operation of the horizontally opposed configuration. Standard on the Subaru WRX STI and the WRX equipped with the Sport LineartronicTM automatic transmission, the SI-DRIVE engine management system puts control over performance at the driver's fingertips. 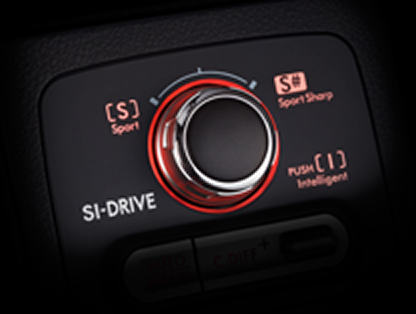 With three different driver-selectable modes ranging from the most efficient to the most responsive, SI-DRIVE brings new levels of flexibility to the driving experience. The manual transmissions fitted to the WRX and WRX STI are designed to work with different versions of the legendary Subaru Symmetrical Full-Time AWD system to create optimum response to a full range of driving conditions. The WRX is also available with a Sport LineatronicTM automatic transmission that is linked to an AWD system designed for sportier handling, delivering the perfect blend of control, performance and fuel-efficiency. 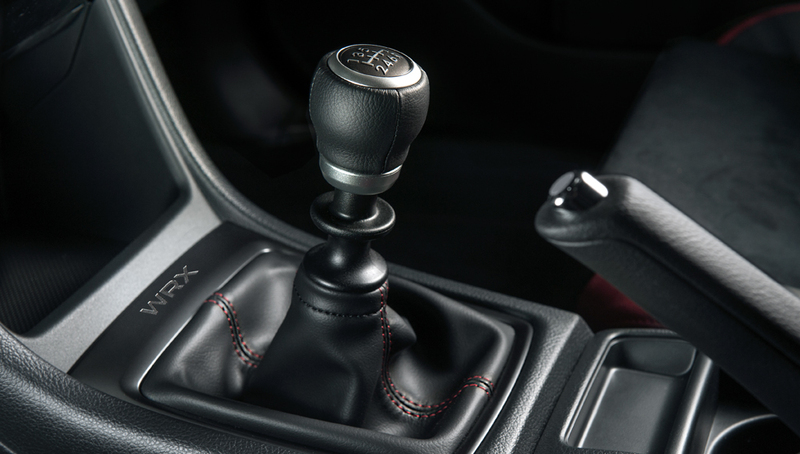 The 6-speed manual transmission in the WRX is linked to a viscous-coupling limited-slip centre different AWD system that delivers near-neutral handling and maximum control. 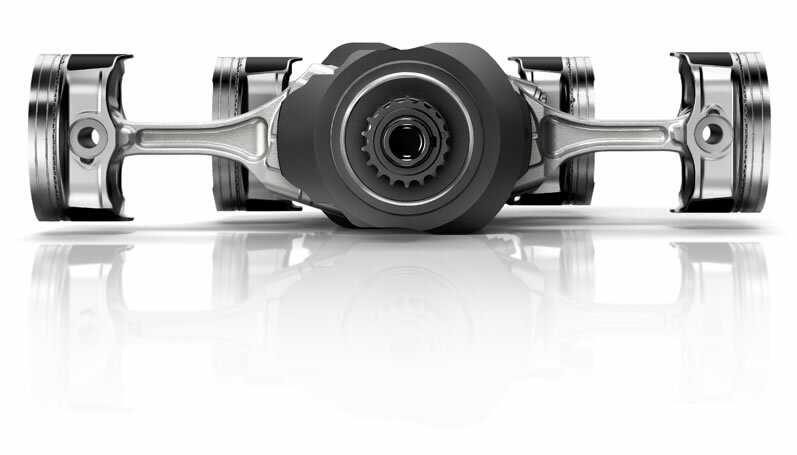 This short-throw transmission and the clutch have been reinforced for a more solid and smoother feel. These characteristics combine to create a sportier, more direct connection between the driver and the car, and the car and the road. Exclusive to the WRX, the efficiency-enhancing Sport LineartronicTM automatic transmission is paired with a variable torque distribution (VTD) AWD system that sends slightly more power to the back wheels than the front, creating a sporty driving feel. 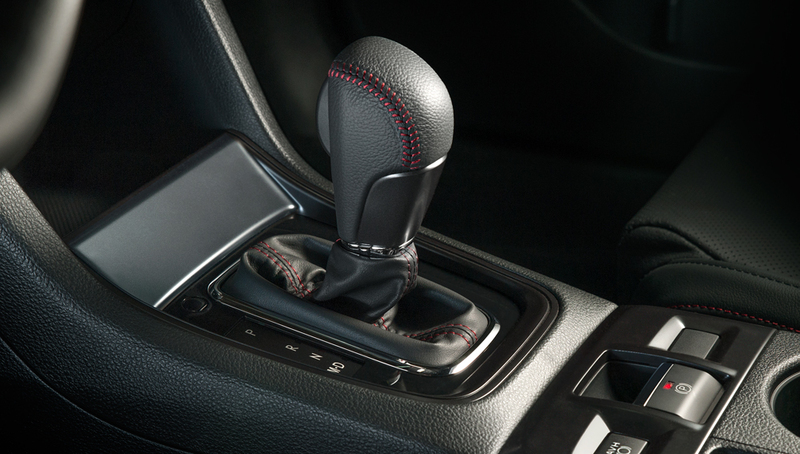 The transmission also features a revised shift lever, an 8-step manual mode and paddle shifters. Linked to the driver-selectable SI-DRIVE engine management system for increased control, this transmission delivers superior performance and superior efficiency, all in one. 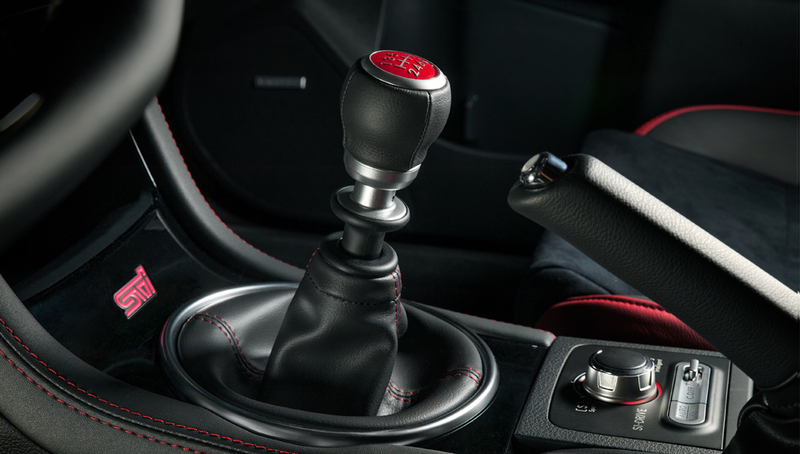 The WRX STI features a reinforced, close-ratio, 6-speed manual transmission linked to the latest version of Driver Controlled Centre Differential (DCCD), a proprietary design that is completely unique to the industry. Now electronically controlled for optimum steering and handling, the DCCD allows the driver to adjust the centre differential locking through three different modes and customize the torque sent to the front and rear wheels to suit the mood or the conditions. Years of heated competition, extensive testing, and advances in materials and engineering have inspired a revolutionary chassis design for the WRX and WRX STI. The overriding goal was to create a super-strong chassis with exceptional stability and lightning-quick response, so high-tensile steel was used throughout to increase torsional rigidity and reduce vehicle weight. These characteristics allow the long-travel, fully independent suspension system and electric power steering to create superior handling and response under all possible conditions. 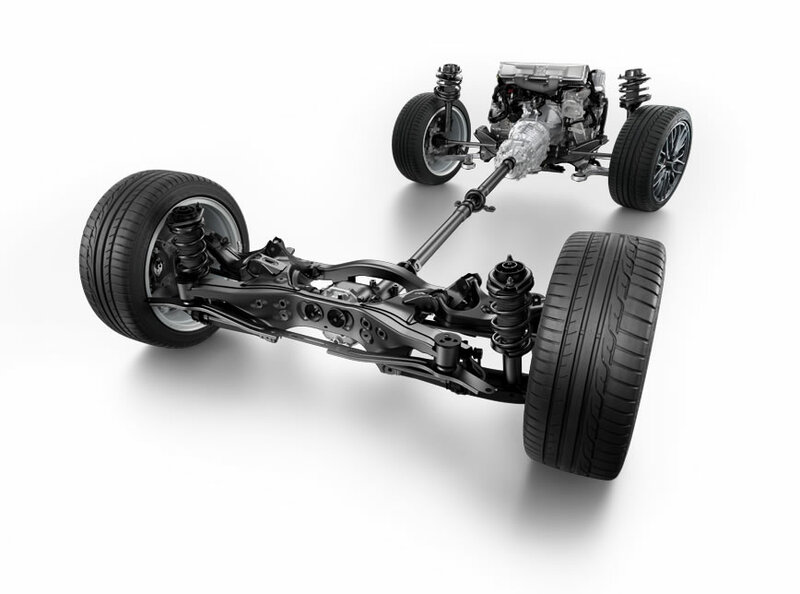 The MacPherson strut-type front suspension from Subaru is more rigid than conventional strut systems, as a result, delivers superior handling overall. The WRX and WRX STI pairing take this even further with stiffer stabilizers, higher spring rates, and performance tuning that expertly balance stiffness and compliance. Constant improvements made to the damping force of the struts and the rebound rate for the coil springs helped provide improved stability, response and feedback to the driver. The WRX Sport-tech and all versions of the WRX STI also feature inverted struts which help to accommodate the larger 18-inch and 19-inch wheels. The inverted strut configuration is designed to keep heavier suspension components mounted to the chassis, reducing unsprung weight and allowing the lighter moving parts to move more freely. This makes for quicker suspension response and vastly improved performance on rough roads and when cornering. The double-wishbone rear suspension system has been designed and tuned to provide a more stable, smoother and more planted feel, especially in the corners. This design offers more control over the degree to which the rear wheels tilt in and out when cornering, so it helps maintain maximum tire contact with the road at all times - even when the road is not cooperating. The double-wishbone also helps reduce body roll and understeer, creating a more controlled and more enjoyable driving experience overall. This design is also flatter and more compact than other rear suspension system designs, so the components don't intrude into the cargo area, thereby freeing up more space for storage. The double-wishbone rear suspension and the MacPherson strut-type front suspension work in conjunction to create unparalleled handling, control and confidence behind the wheel.